That ignited a lifelong passion for space that eventually brought Okada to Purdue University, the “Cradle of Astronauts” and alma mater of his boyhood hero, Neil Armstrong, where Okada earned an MBA in 2001 from the Krannert School. There were several stops along the way, however, beginning at the University of Tokyo with undergraduate and graduate studies in genetics. He then leveraged his unique skillset and MBA into a finance career, rocketing to new levels with jobs at several leading consulting firms and financial services companies, including McKinsey & Co. and Bain Capital. 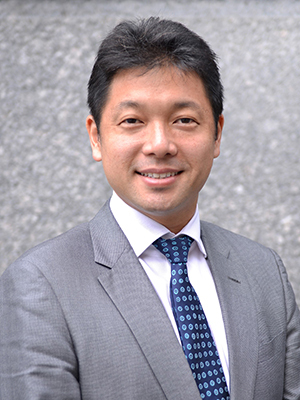 In 2009, Okada caught the entrepreneurial spirit and founded a software company in Singapore, but after several years found himself in a “mid-career” crisis. Merging his technical background and startup experience, Okada tackled the growing problem in 2013 by founding Astroscale. It’s a Singapore-based satellite services company on a mission to contribute to the sustainable use of the space environment by developing scalable and innovative on-orbit technologies that safely remove the most threatening debris in orbit. Toward that end, the company has secured some $44 million in funding from both public and private venture capital firms and other third-party investors. Beyond the inherent danger to manned spacecraft and astronauts, Okada says the biggest concern is collisions between new satellites and the debris from old satellites, which lead to a chain reaction of cascading, self-sustaining collisions of space debris in Low Earth Orit (LEO) known as the Kessler syndrome. The company is currently engineering a first mission in early 2018 using a spacecraft called IDEA OSG 1, which will enable the accurate monitoring and positioning of space debris too small for tracking from the ground. Astroscale will then carry out an in-orbit demonstration in 2018-19 with ELSA 1, a chaser satellite that provides spacecraft retrieval service for satellite operators using a unique capturing system and burns up upon reentry.